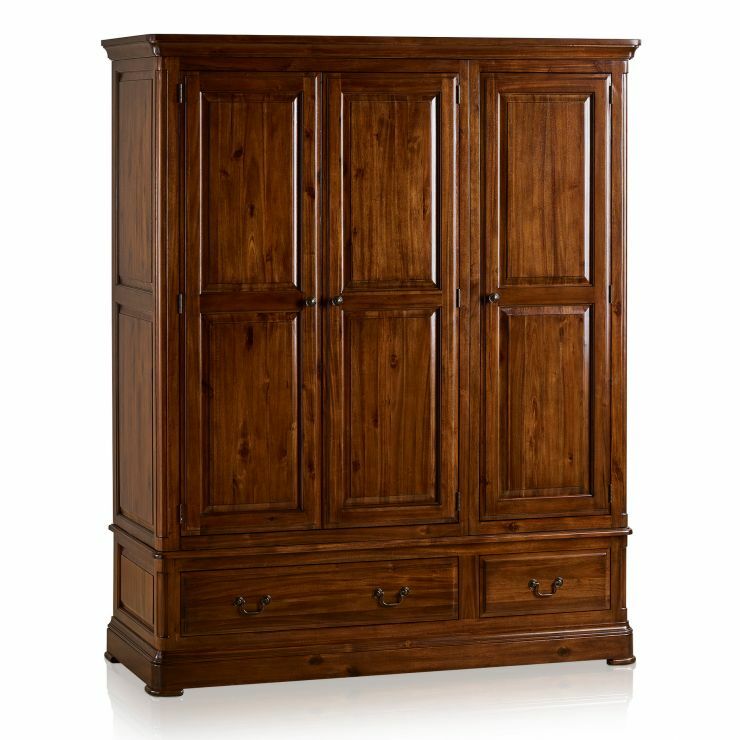 Our classically styled Cranbrook triple wardrobe brings storage and style into your bedroom. 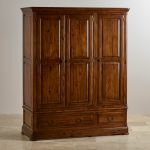 It is designed with ample space for hanging clothing, and deep drawers too. 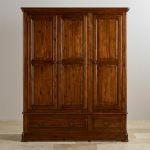 Boasting a double and single hanging area, it is perfect for those sharing a wardrobe. The drawers are made from solid hardwood throughout, even the backs, runners, and bases. They also have real dovetail joints which help to create a durable and long-lasting piece that will look great in your home for years to come. 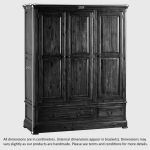 Made from 100% solid hardwood in our striking dark-stained finish, this wardrobe shows off elements of traditional furniture design in a new way. The flared cornices and deep pedestal base give an impressive look, perfectly offset by the antique brass handles and drawer pulls. 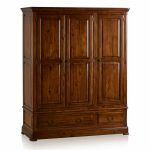 Browse our entire Cranbrook range for matching bedroom furniture, and other great pieces for your home.